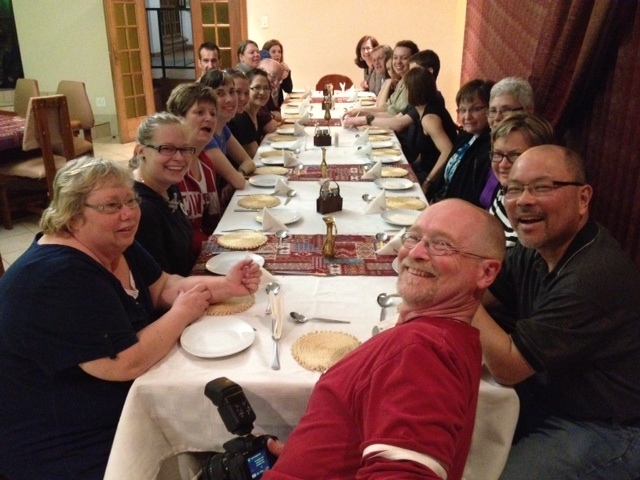 In Swaziland….settled in….and ready to go! We had a bit of excitement at the airport again when we landed in Johannesburg. One of our team members (no not Carolyn) had their passport fall out of their pocket on the plane when de-boarding and didn’t realize it until we were in line at South African passport control. There was some major panic followed by a run back to our gate to see if it was on the plane. The door to the ramp was locked and no one was around. I waited until I saw one of the cleaners walking and pounded on the doors….he got someone from security who wouldn’t let me in but was willing to go check if he could find it….10 minutes later I saw him walking back with a passport in hand…..phew! That would certainly have had an impact….but alas….we have seen favour once again 🙂 I guess our trip here began with a passport left behind and ended the same way….how fun. We are all anxious for tomorrow morning to come as we head to visit Bhobokazi. This will be a dream realized for so many as they have worked so hard to get there and now we will be on the ground….but first….a good sleep (hopefully) for all. Greetings from Brenda (aka as Make Magpie). For those of you that have been anxiously waiting; here is our first update from Swaziland!!!! After 46 hours of travel, which included some sight seeing in Frankfurt, we and ALL of our baggage arrived safe and sound. Some of us had more sleep than others (and we have the photos to prove it!) but all are filled with anticipation for all that the next 9 days are going to hold. We were greeted warmly and enjoyed our first yummy meal together at Asante House. I personally have enjoyed watching the “rookies” as they experience all of their “firsts” here in Swaziland. I have so enjoyed watching and experiencing the coming together of our team. As we work together there is much laughter and fun! It took us “no time” to turn our team room into the organized chaos of previous years. It has been a long day and many have retired for the night. I will say goodnight and thanks for following us. We love reading your comments at the end of our busy days at the CarePoints. Looking forward to what the Lord is going to show is in the days ahead! We’ve arrived! We’re thrilled to be here (and off the planes). Had a great drive ‘home’ from Jo-berg. The scenery just gets better the closer we get. Looking forward to going to Bhobokazi tomorrow and the start of our time here. Thanks for following us! Bhobokazi Day 1 – So Rich…..
Good afternoon Swazi Team! It is great to hear that you arrived safely and with no real incidents! My prayers are for all of you to be richly blessed by your experience there and to know that God’s arms are around you as you work hard and play hard. Please share this message with Mary : Michelle is in ICU at the Victoria Hospital and will be until at least Thursday. She is on the road to recovery. She is anxiously waiting to hear all about your work in Swaziland. Please remember her in prayer. Enjoy your days in Swaziland! Wow! It sure seems like an angel was sent to watch over you all, given the passport incident! Glad to hear you arrived safe and sound. Have a good sleep! We all look forward to reading about your adventures tomorrow! So glad you all arrived safe and sound and will ALL your luggage. Unlike last year. So excited for you. I feel like I am their with you. All the memories from last year come flooding back. I would just encourage you to fully embrace all that God has for you. The good and the bad. You will have a mix of emotions and it is all good.God has something special for each of you to experience and for each of you something different. Can’t wait to hear your stories. Bless each and ever team member. Lead and guide them each uniquely. Bring about the conversations you want to take place. The things you want them to each experience. May they each embrace all that you have for them. Change and transform them more into the likeness of you. May they see what you want them to see. Mold this team together. Work out difference that come up. May the roommates really gel well together. Thanks Lord for this team of people may they be a huge blessing to everyone they meet. Glad you all made it. Hello Kimberly! Work hard, be safe, and have fun! What would missions trips be without stories?…. boring. Thanks for keeping us entertained. We’re cheering for y’all here and looking forward to the updates. So glad to hear you have arrived safely and with all your luggage. I hope you are all getting caught up on your much needed sleep. I’ll be looking forward to hearing all about your first day out at Bhobokazi. Loving the pictures. Bryan and Cheryl —hope all is well. Hey Gang… so glad to hear you are safe and sound! Hope your day has been filled with more adventures and hugs than you could ever have imagined! Glad to hear you slept Carolyn – yeah! Hey Kailey – are you finding food you can eat?? Oh and remember 30 cows!! Congrats to all of you for making it through the journey so far! I hope everyone has a peaceful and blessed sleep. Can’t wait to hear more about your journey…We carry you all in our thoughts and prayers in the coming days. so glad to hear from you and to know that you arrived safely. looking forward to your daily updates–it is so much fun to get news from you and journey with you. May the Lord give you rest and many memories and blessings. love to my son Jon and to all of you. Hi Cheryl, so glad you made it there safe and sound. Even though I don’t know the rest of your group, please let them know they will be in my thoughts and prayers as I follow along reading the blogs about all your adventures! I hope you had a good night sleep so that you and your friends will be full of energy and excitement as you witness to and love the wonderful people there. God is so good!! Greetings to everyone..especially Ben… I have a joke for you..i owe u one.. here it goes..
haha? i am waiting to hear how your first day on the team is.. i know your mom is excited to share this family with you. Just got back from Staff Prayer and prayed for you guys! Hope all had a great night’s sleep – love the picture of all of you at the table – I see Brian has taken his rightful place at the head of the table!! 🙂 We are looking foward to double digit temperatures by the end of this week here in Sunny Manitoba!! Praying for an awesome week for the entire team as you head off to the care points. Love and prayers following you all! Pam R.
Blessings from the homeland! It’s so good to read and see that you’re doing well and hopefully learning lots. 🙂 I’m so excited for you to have met all the children at Bhobokazi and see first hand the work that has been done there. Be encouraged that you are doing the Lord’s work in Swaziland. Cassie: Lifegroup met last night and it was great! Bailey’s friend that we prayed about came and Zac talked about loving one another, it was really good! “You are my friends if you do what I command you. No longer do I call you servants, for the servant does not know what his master is doing; but I have called you friends, for all that I have heard from my Father I have made known to you.” – John 15:15-16 You guys are Jesus friends, cool eh? Can’t wait to read more about your journeys! I just looked at the time and realized that you are probably sitting down in the Asante guest house meeting room. You are all pretty tired and something someone said has probably starting the room off laughing. 🙂 I have been following along and am so happy to see the smiles at Bhobokazi! Those kids seemed to have really opened up quickly this year! Bryan and Cheryl, I’m betting you got to see your special friend, I know he is at Bhobokazi. Hello to the girls from my House Group, can’t wait to hear all about it when you get home. I wish I was there with you again this year! Give a hug to those beautiful kids for me. Thinking & praying for you daily! Wish I was there with you!! Praying you’re all doing great! For all of you “first timers”….relax & don’t worry about taking too many photos the first few days! Soak it all in! Hug LOTS of children & enjoy every minute!! Please say hi & hug Thul’ Sile (my special friend) & Samkelo Mkhatjwa at Enaleni for me!!!! We are so happy to see you there and hear that you are feeling well! We have been praying for you and for good health specifically. May God use you and the rest of the team to show His love to the people there. So I managed to keep my emotions in check …. until I saw the photos from today. Immediate tears and longing. How I wish I could be there! Keep those photos coming and don’t skimp on the blog updates- we’re hungry for them back here! I’m praying for you all and I know God is working through each of you in an incredible way. Don’t hold anything back, let yourself be broken and soak in every moment. Looking forward to hearing more….